Its the UNO card game you know and love, now with a patriotic theme! Play this game on national holidays or any time you want to celebrate the red, white and blue! Special action cards deliver game-changing moments as they each perform a function to help you defeat your opponents. 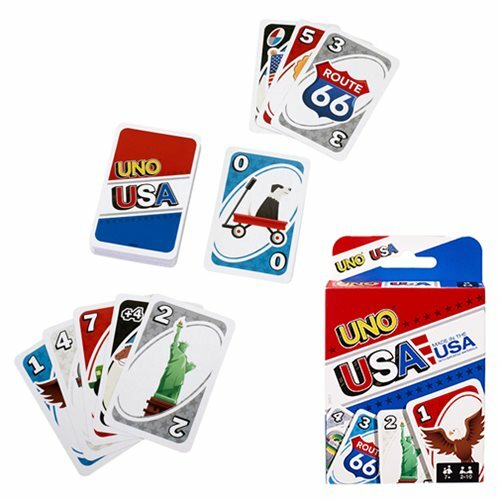 There's two-handed, partner, and tournament options for even more action with the USA UNO Card Game. For 2-10 players. Ages 7 and up.